We are a Doctor Who podcast. New content bi-monthly. May be a proper episode, may be outtakes, may be other nonsense we come up with. But mainly we take topics or theories about the show and overanalyze, nitpick, and make general nuances of ourselves. You can be more interactive, over at our blog: https://adisusedyeti.wordpress.com and subscribe to our audio podcast on iTunes. Surprise! It's our last episode! But we have a lot to talk about with new teasers bringing us our first glimpses of the upcoming season. Join the conversation at adisusedyeti.wordpress.com. Recorded at Galaxy of Comics. We tackle the premise of an Americanized Doctor Who movie. We had a lot to say (especially Ken), so this episode has been split into 2 parts. Part 2. Recorded at Galaxy of Comics. We tackle to premise of an Americanized Doctor Who movie. We had a lot to say (especially Ken), so this episode has been split into 2 parts. To be continued... Join the conversation at adisusedyeti.wordpress.com. Recorded at Galaxy of Comics. We tackle the premise of an Americanized Doctor Who movie. We had a lot to say (especially Ken), so this episode has been split into 2 parts. To be continued... Join the conversation at adisusedyeti.wordpress.com. Recorded at Galaxy of Comics. Which Doctors have the best opening stories? We discuss. Join the conversation at adisusedyeti.wordpress.com. Recorded at Galaxy of Comics. We had some thoughts on the Christmas special. Here they are. Recorded at Galaxy of Comics. Join the conversation at adisusedyeti.wordpress.com. Part two of the Doctor dream team episode. Though much of it is the cats untying shoelaces and talk of the muppets. To see the picture we were talking about and join the conversation, visit adisusedyeti.wordpress.com. In light of a multi-Doctor story this Christmas, we discuss which Doctors we'd like to see onscreen together. Recorded at Galaxy of Comics. Join the conversation at adisusedyeti.wordpress.com. A fun talk about the companions we'd most like to make a comeback. Recorded at Galaxy of Comics. So Bill is leaving after the Christmas special (and I am grumpy), but it means the Doctor Who family will be growing! As I say we posted this just before we got the announcing of our new incoming cast members. In the spirit of responsible information spreading, if you've somehow managed not to hear, Jodie Whittaker's 13th Doctor will be joined by Bradley Walsh, Mandip Gill, and Tosin Cole. But we still no little about their new roles! Here are our hopes for the incoming companions. Warning: digressions ahead. Filmed at Galaxy of Comics. Warren won't be on for the next few episodes. Luckily, Ruth is sitting in! We talk about Doctor Who references we've spotted in other media. Recorded at Galaxy of Comics. Further discussion from episode 27. Join the conversation at adisusedyeti.wordpress.com Recorded at Galaxy of Comics. What are your favorite episodes for each Doctor? Join the conversation at adisusedyeti.wordpress.com! Recorded at Galaxy of Comics. 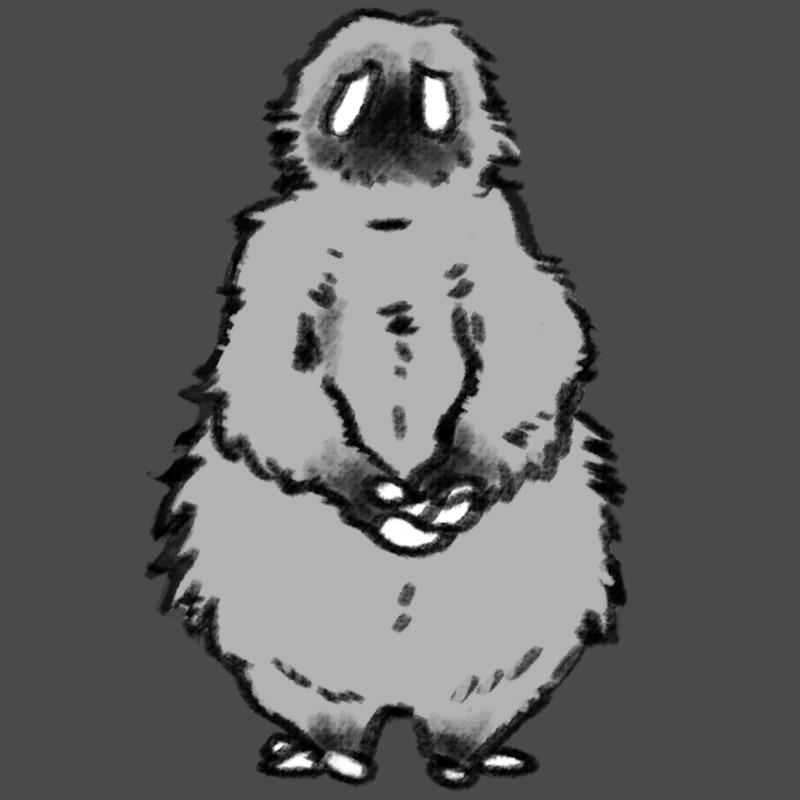 A Disused Yeti #26b: Susan Still Needs Shoes! We talk about Susan, Class, and a little Game of Thrones. Recorded at Galaxy of Comics. We're back! And, boy, did we pick a crazy day for it! We recorded on the day the actor playing the 13th Doctor was announced, so we talk about that. (The Black Mirror episode is called "The Entire History of You.") And we talk about series 10. There were things we really liked and things we didn't like. What did you think? What do you think of our new Doctor? Let us know adisusedyeti.wordpress.com. Further discussion. More cats, bitching about Iron Fist, and casting rumors for the 13th Doctor. Recorded at Galaxy of Comics. A Disused Yeti #25: I Am the Doctor. And This Is My Spoon. In which we talk about the best of the 12th Doctor. Recorded at Galaxy of Comics. Join the conversation at adisusedyeti.wordpress.com. In which we discuss numbering Doctors, Idris Elba, and why Spielberg abandoned any Who related projects. Capaldi is leaving! We're really sad! And John Hurt died! And we're sad about that too. But we also talk about what we might have to look forward to. We'll make it through this. Join the conversation at adisusedyeti.wordpress.com Recorded at Galaxy of Comics. You know the drill, what got cut out of episode 22. Trigger warning for La La Land lovers. We aren't fans, but go a little into why. Join the conversation at adisusedyeti.wordpress.com. Risa Romano will be at Gally this weekend! Feel free to come up and tell me why I'm wrong to my face. It'll be a good time. No, but seriously, let's talk. SPOILER WARNING FOR ROGUE ONE AND THE WALKING DEAD. Somehow our conversation of Doctor Who Christmas specials devolved into complaining about Star Wars special effects and the Walking Dead. A Disused Yeti #21: It's Christmas, You Moron! Happy Christmas and merry other holidays! We take some time to talk about the stand out Christmas moments throughout Doctor Who. Recorded at Galaxy of Comics (where there is a food drive and massive sale happening until the end of the year. Help out people in need and get yourself some cool stuff in the process). What got cut from the Companion Departure episode (I Don't Want to Go). Recorded at Galaxy of Comics. We chat about the companion departures that had an impact on us. Recorded at Galaxy of Comics. Join the conversation at adisusedyeti.wordpress.com. What didn't make the cut in episode 19. Recorded at Galaxy of Comics. Join the conversation at adisusedyeti.wordpress.com I'm also asking a favor this week. I could use the feedback. It's now costing money to release audio only content (my host site requires a monthly fee). Are people listening to the podcast as much or more than those viewing the vodcast? If so, I really don't mind paying the fee. But if almost everyone is simply viewing the video, it seems a lot of effort for naught. Let us know, Yeti-ears! We missed out last scheduled episodes (apparently there was some big convention in San Diego that whisked our crew away), but we're back! We discuss the 13 most divisive episodes per a Radio Times article. Spoilers: we find it divisive.